App Previews are a powerful tool – giving your users an actual visual tour of your app can not only encourage users to download, but can actually bring higher quality users into the funnel. Video-watchers have the best understanding of what your app actually does, and therefore are more likely to be heavy users and less likely to uninstall. But videos are not a sure thing, and can significantly decrease your CVRs. With the considerable effort creating an App Preview requires, having an ineffective one can be super frustrating. 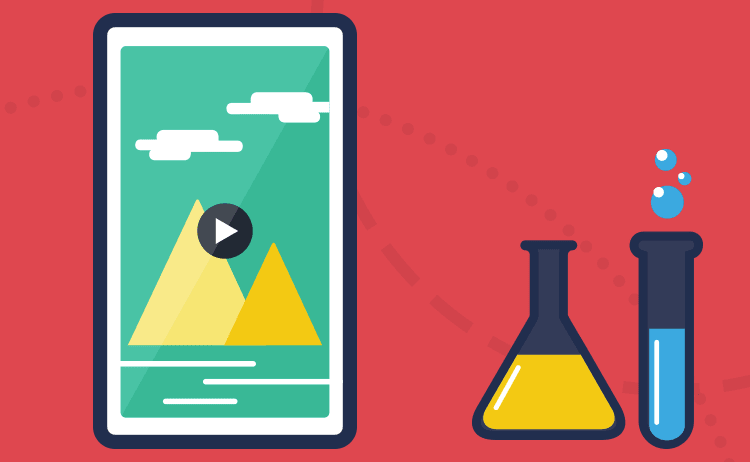 Your Poster Frame is the most important part of your video – Your Poster Frame is the image still/thumbnail that shows up underneath the “Play” button in your App Store. You can create the most brilliant App Preview of all time, but it will mean nothing if your Poster Frame is an afterthought. Every single user to your App Store sees your Poster Frame. Every single decision of whether or not to download is affected by your Poster Frame. Every decision of whether or not to play your video is affected by your Poster Frame. We recommend testing out images before creating your video to find the strongest design and messaging, and then placing the image in your video. Your Poster Frame should follow the same guidelines as your images – a strong, clear visual, a snappy caption, and your best app USP. 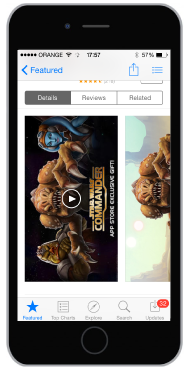 Length Matters – App Store users will drop off at every second of your video. That means if you take 30 seconds to deliver your messages, over half of your visitors may miss it. Aiming towards a 15 second video should be your goal, but be careful not to sacrifice quality and damage your meaning. If you’re having trouble fitting all your points into 15 seconds, test out a longer video. This will help us pinpoint the content that drives users to install, as well as the content that encourages drop off. Order – Remember, users drop off your preview with each passing second. While you will likely be tempted to build a chronological story, the better move is to start off with your strongest visuals and most exciting content. Avoid building tension and go in for the kill straight away – this way, dropping users can still be positively swayed by your video. Narration – Using voiceover to explain the step-by-step can be a strong asset, but can also distract from the content. Also, the tone and gender of your narrator impact your users, so test out a few different options!